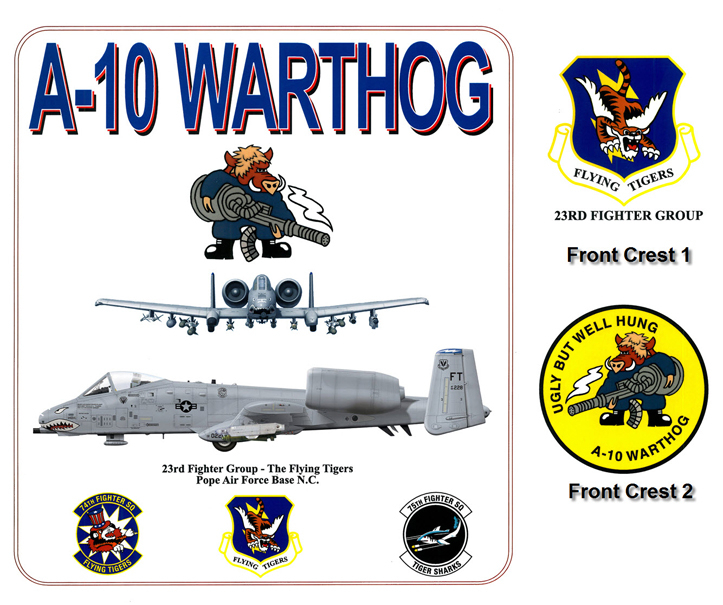 #222 - A-10 Warthog from the 23 Fighter Group - the Flying Tigers. 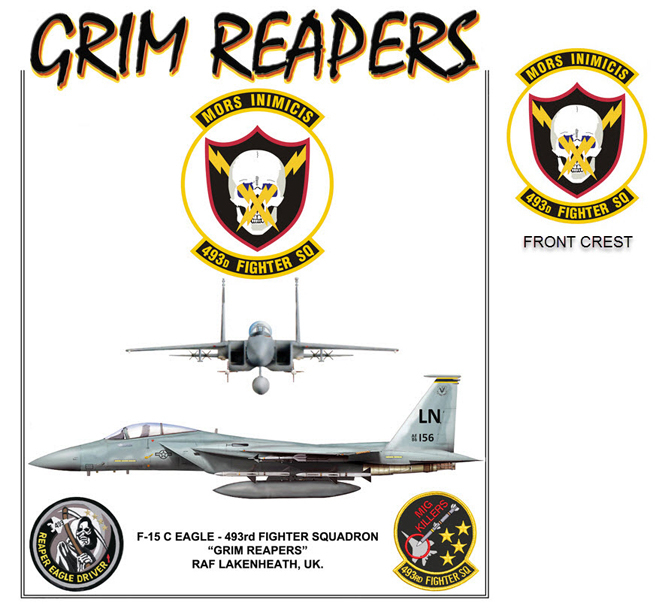 Choice of two crests for shirt front - 23rd Fighter Group insignia, or "Ugly, But Well Hung". 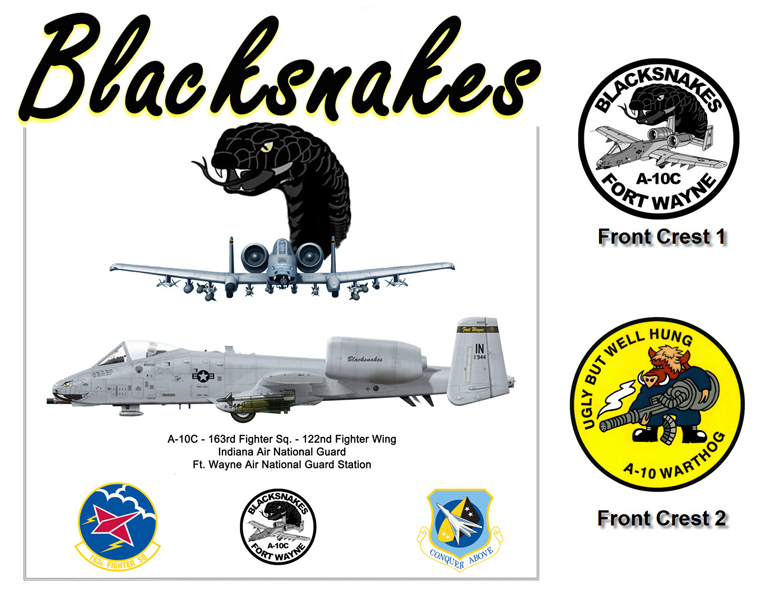 #340 - A-10 Warthog, 163rd Fighter Squadron - the Blacksnakes. 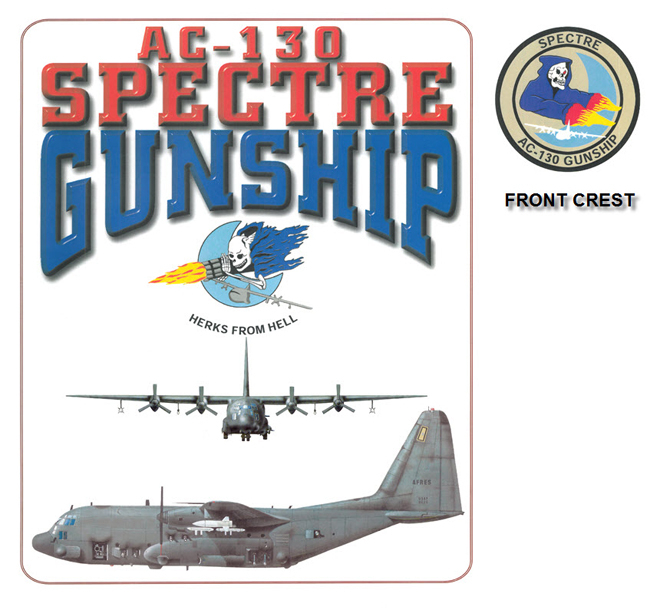 Choice of two crests for shirt front - Blacksnakes insignia, or "Ugly, But Well Hung"
#176 - AC-130 Spectre Gunship - "Herks From Hell". 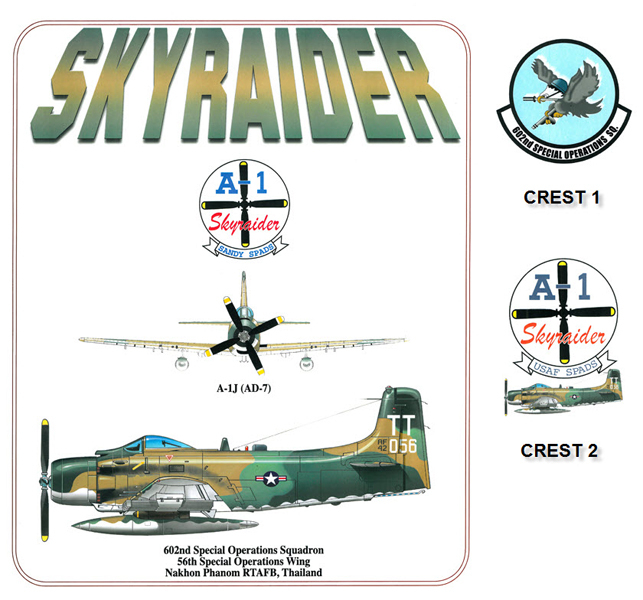 Special AC-130 insignia on shirt front. #226 - B-1B Lancer side view and action scene. 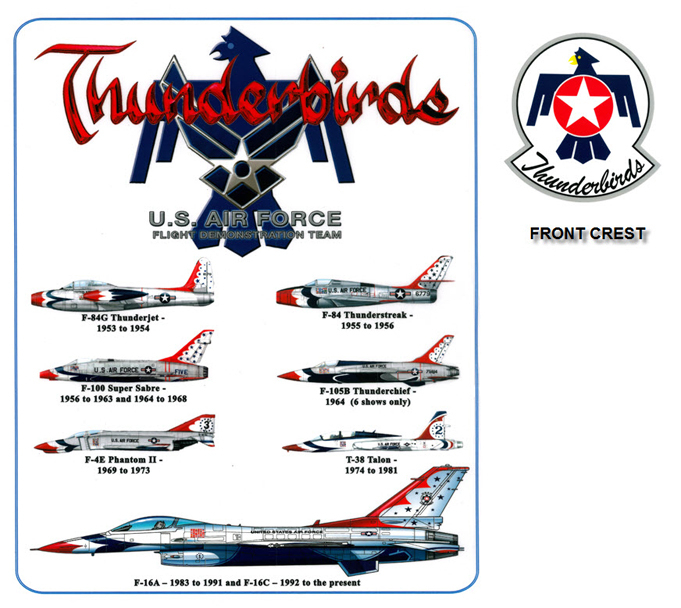 Air Combat Command insignia on shirt front. #227 - B-1B Lancer side view and action scene. 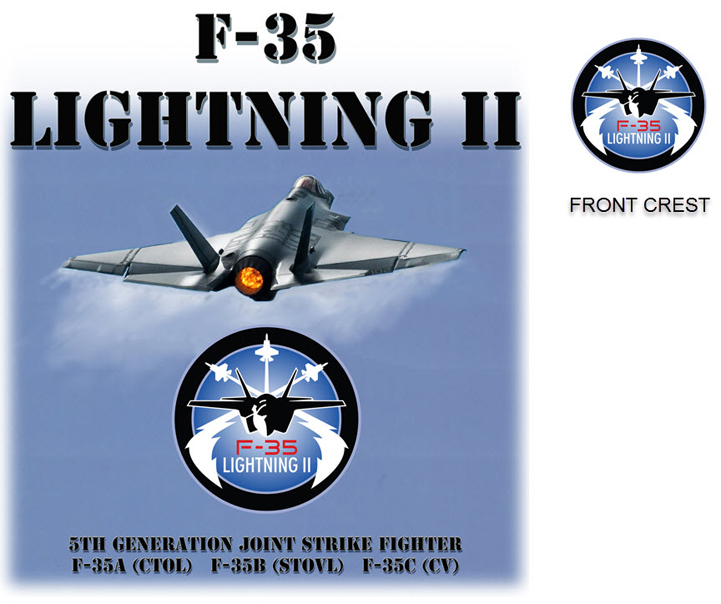 Air Combat Command insignia on shirt front. 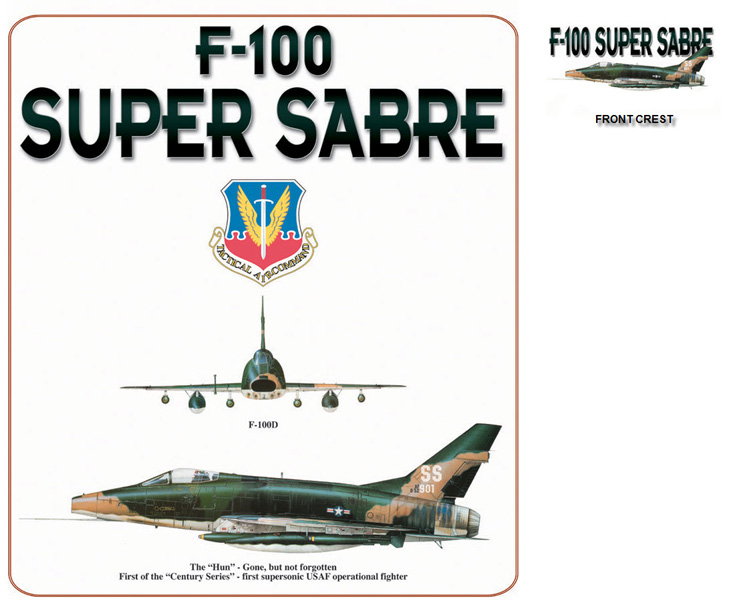 F-100 Super Sabre - The "Hun"
#217 - F-100 Super Sabre profile and front views - first of the Century series jets. 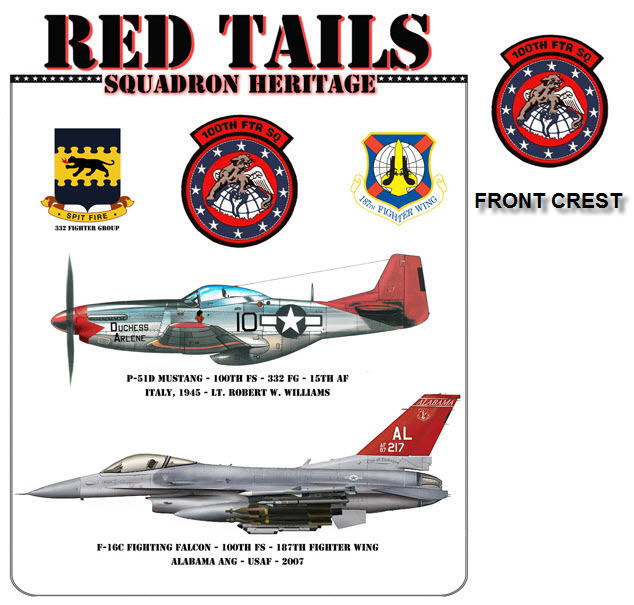 Front crest has aircraft profile. 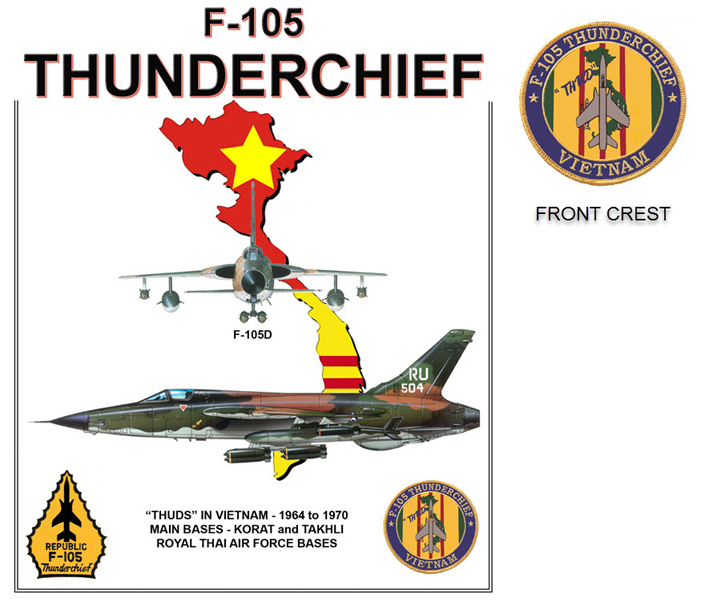 F-105 Thunderchief - The "Thud"
#136 - F-105D Thunderchief profile and front views - Korat RTAFB and Takhli RTAFB, Thailand. Front crest has aircraft side view. 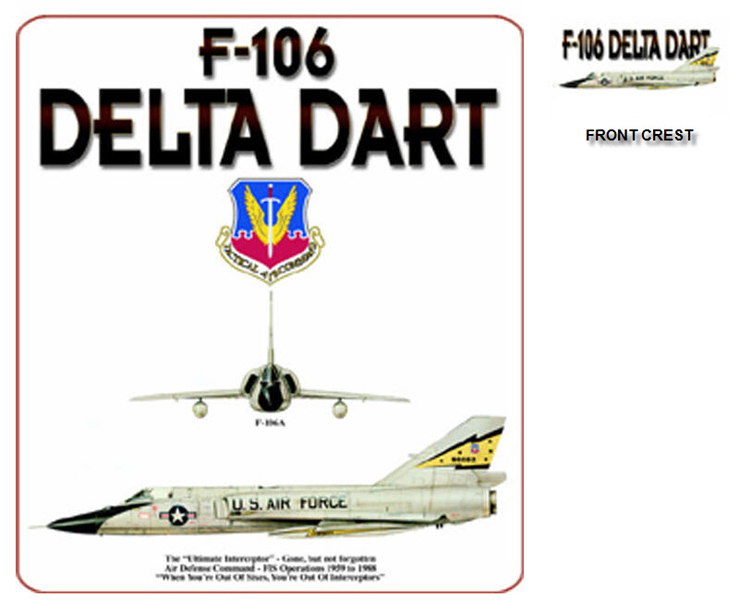 #219 - F-106A Delta Dart profile and front views - Air Defense Command - FIS Operations 1959 to 1988. Front crest has aircraft side view. 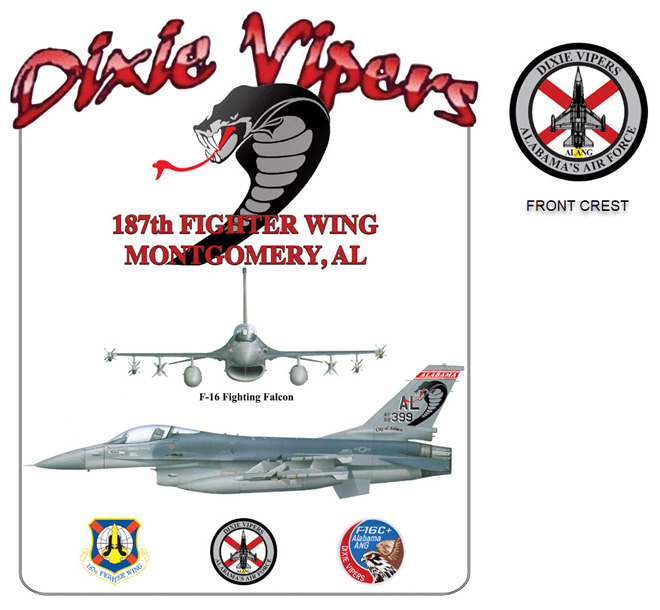 #178 - F-15 Eagle with USAF insignia. 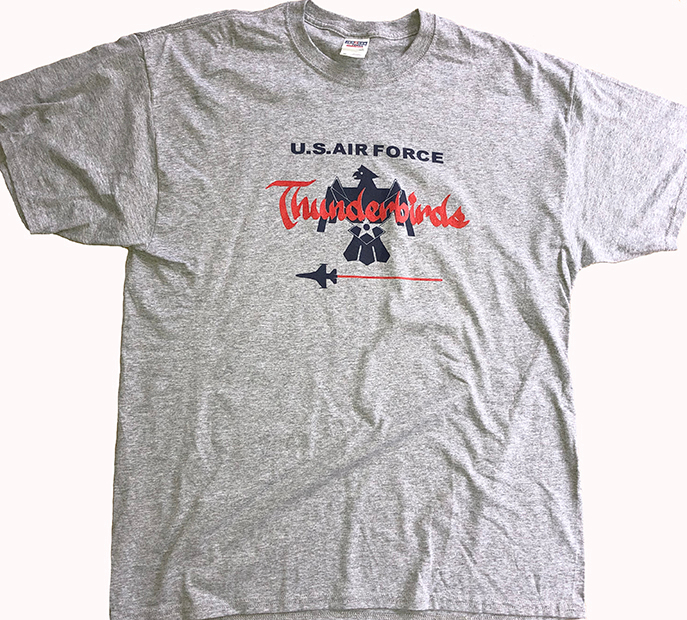 Unique USAF insignia and F-15 emblem on shirt front. 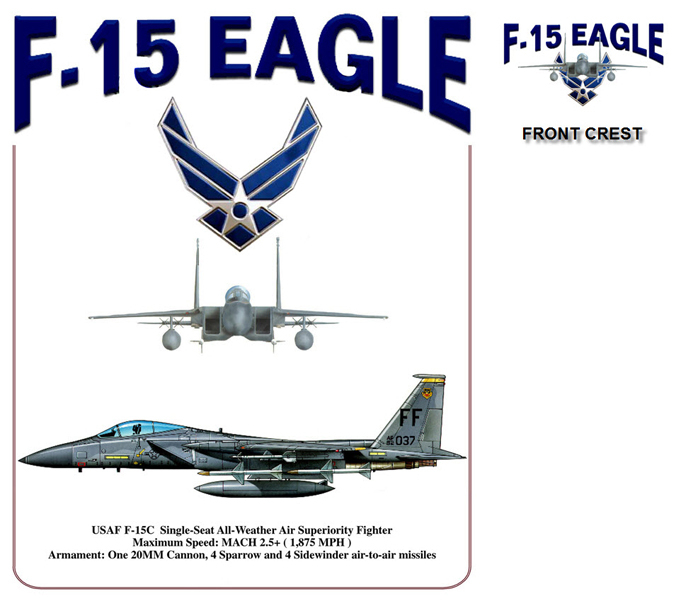 #143 - F-15 Eagle from the 27th Tactical Fighter Squadron - the Fighting Eagles. Squadron insignia on shirt front. 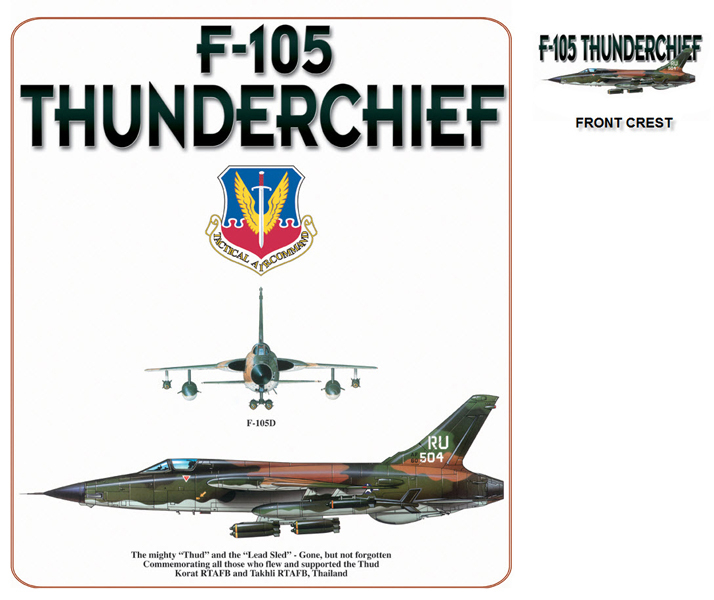 F-15 Eagle - 60th Tactical Fighter Sq. 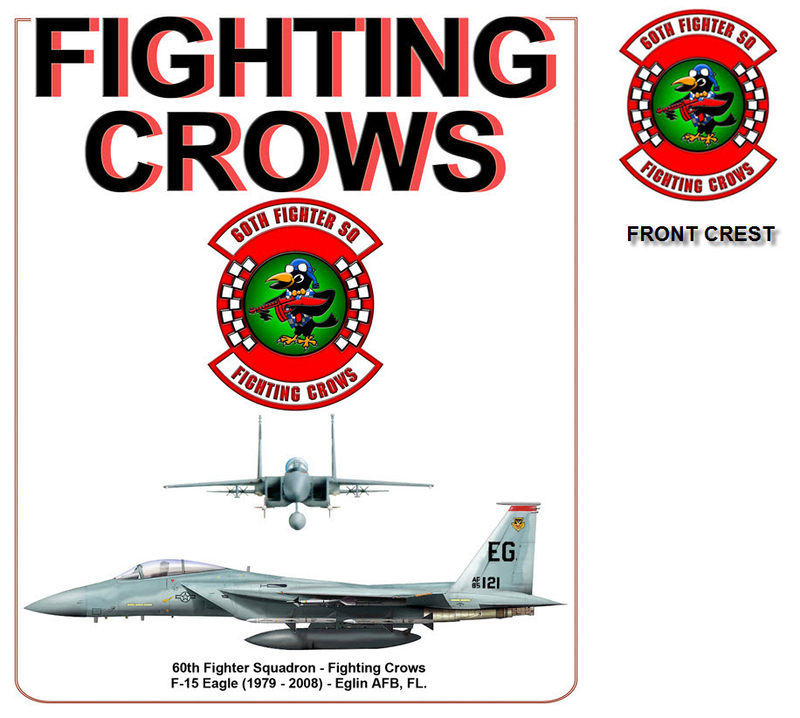 #144 - F-15 Eagle from the 60th Tactical Fighter Squadron - the Fighting Crows. Squadron insignia on shirt front. 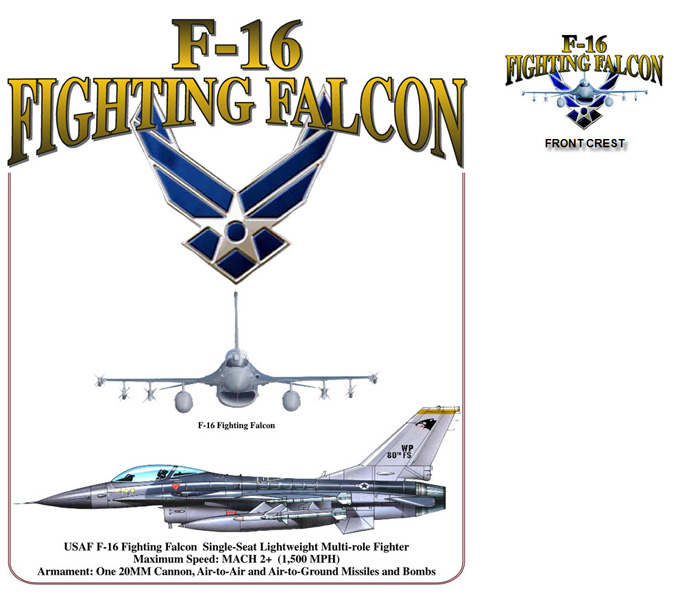 #180 - F-16 Fighting Falcon with the "Let's Roll" insignia. 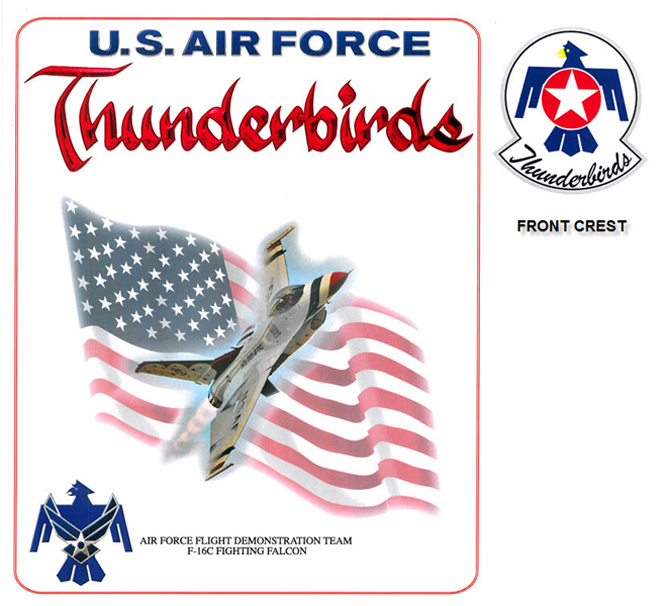 Unique US flag - F-16 emblem on shirt front. 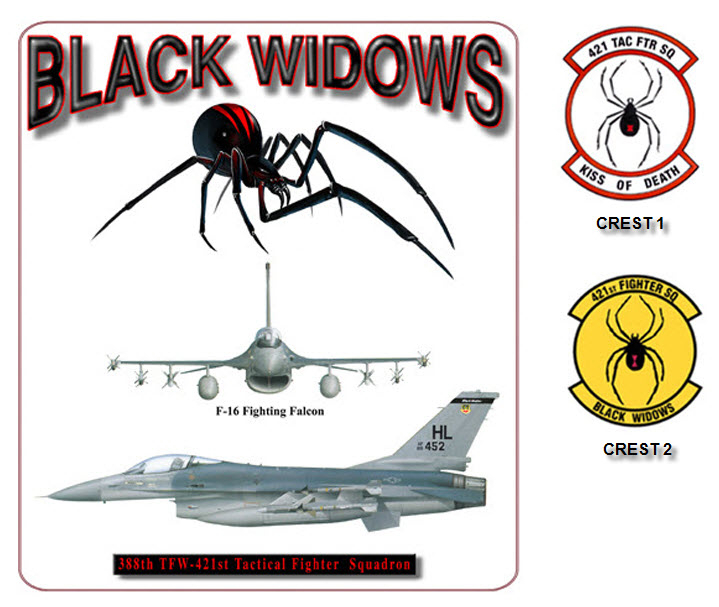 F-16 - 421st Tactical Fighter Sq. 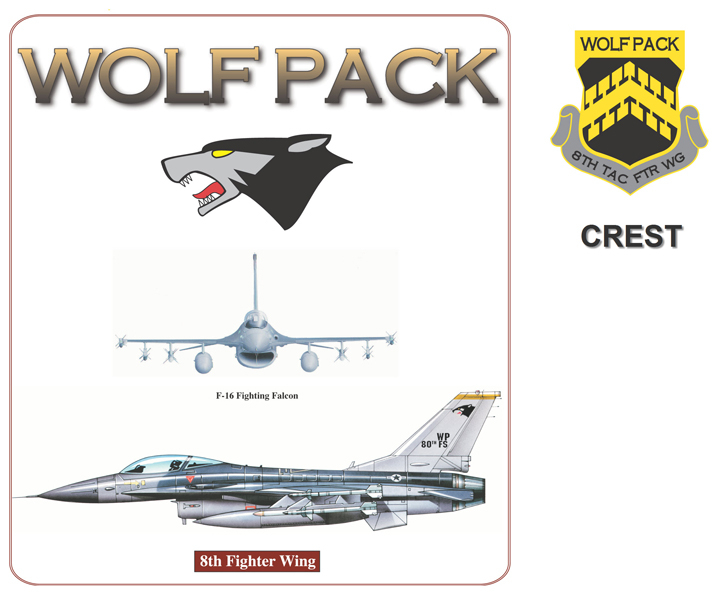 #181 - F-16 Fighting Falcon from the 8th Fighter Wing - the Wolfpack. 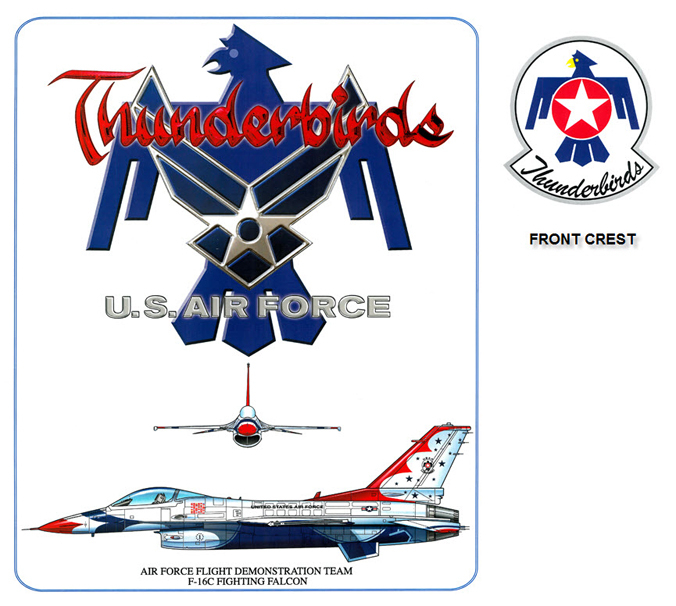 Wing insignia on shirt front. 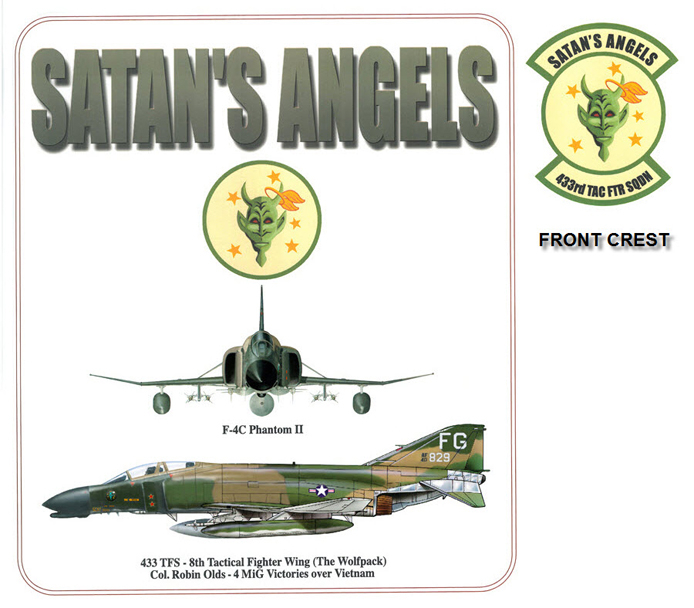 #193 - F-4C Phantom II belonging to the 433rd Tactical Fighter Squadron, flown by Robin Olds. Squadron insignia on shirt front. 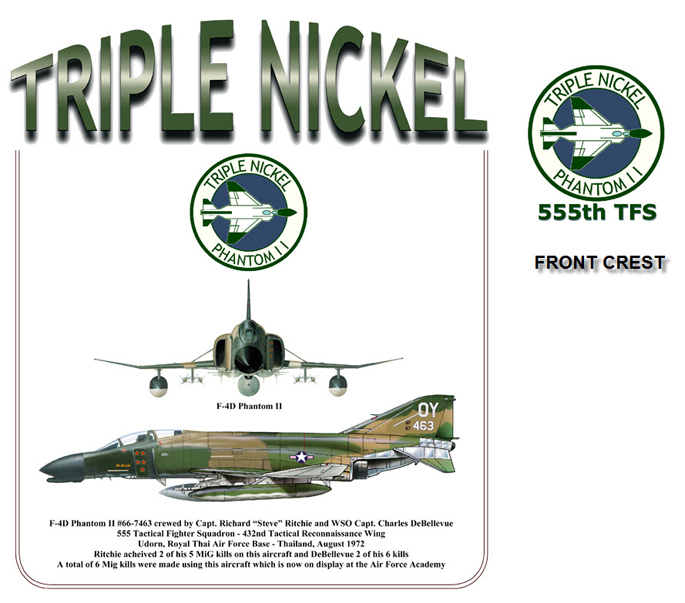 #194 - Ace Steve Ritchie's F-4D Phantom II - 555th Tactical Fighter Squadron, Udorn RTAFB Thailand - 1972. Squadron insignia on shirt front. 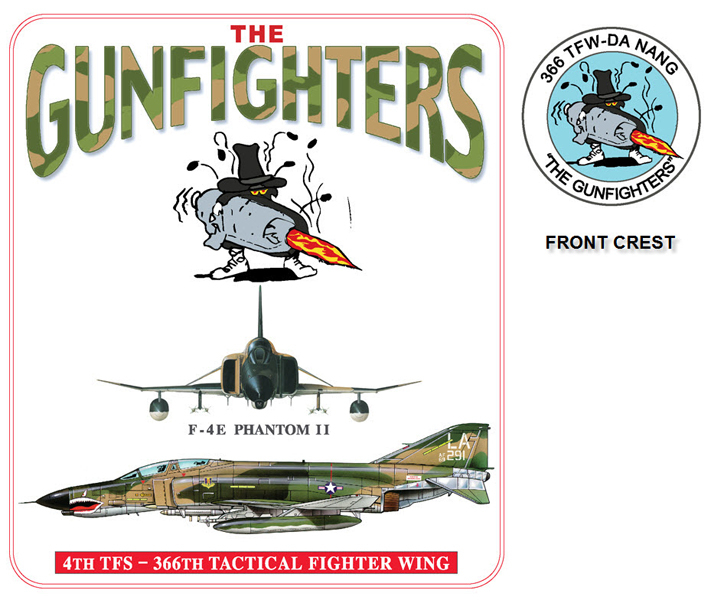 #166 - F-4E Phantom II of the 4th Tactical Fighter Squadron. Squadron insignia on shirt front. #240 - Two F-86's - one flown by Harold Fischer and one flown by Hank Buttelmann. Also lists all aces from the 51st FIS. 51st FIS unit insignia of shirt front. 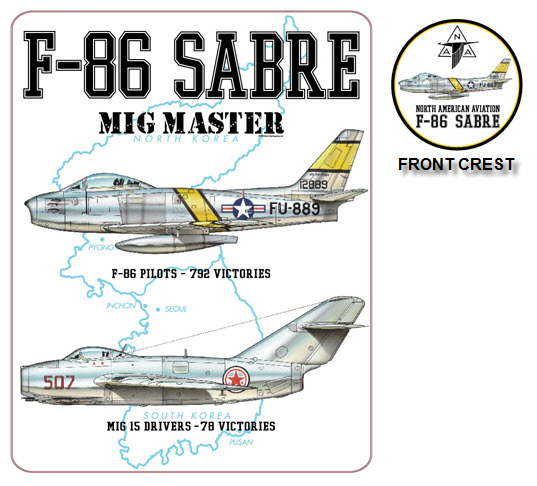 #125 - F-86 and a MiG-15 over a map of Korea, F-86 logo on shirt front. 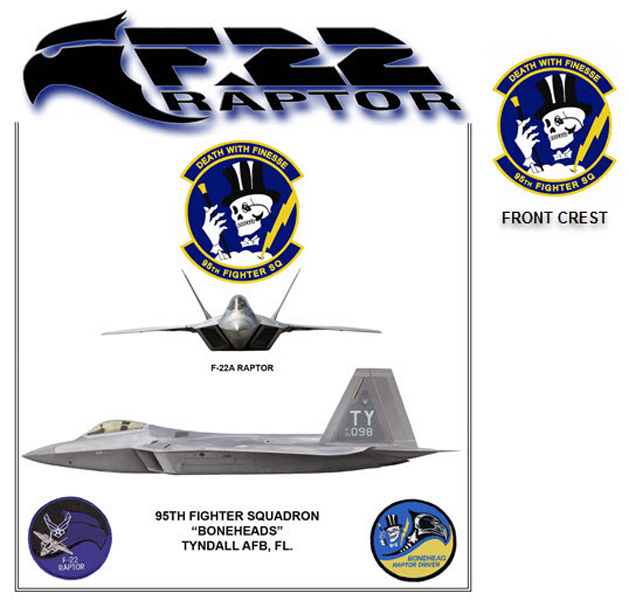 #206 - F-22A Raptor in flight above new Air Force logo. 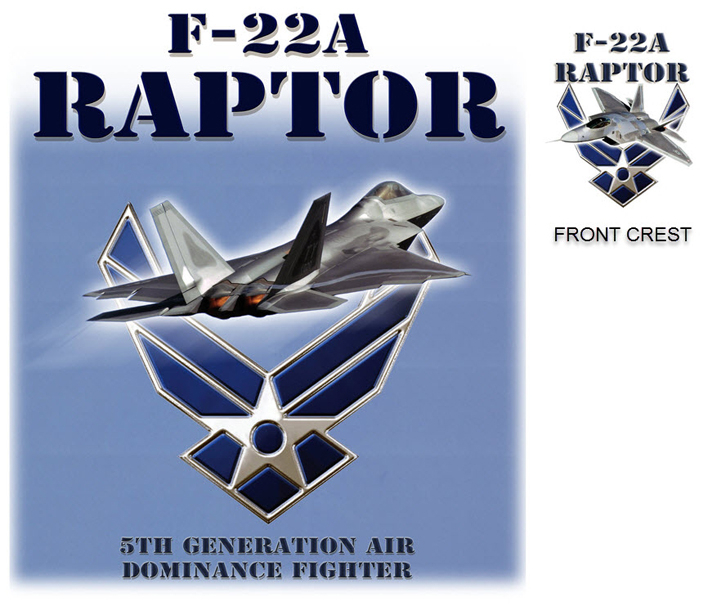 Special Raptor insignia on shirt front. 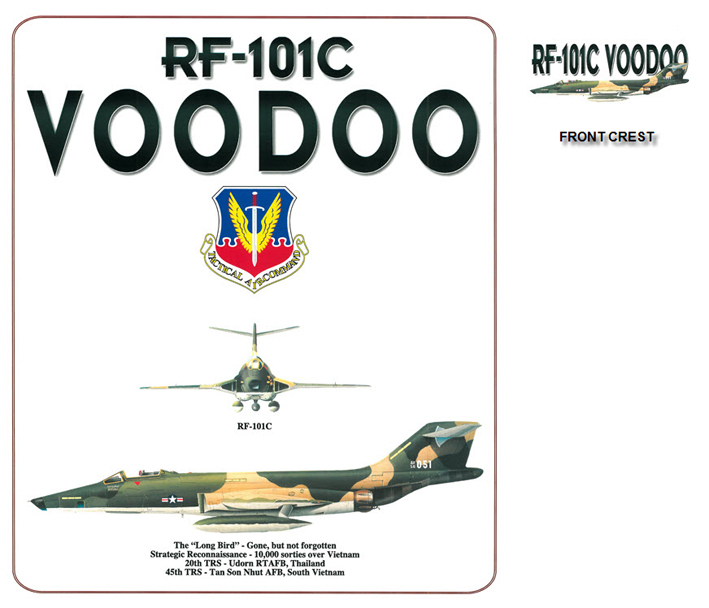 RF-101C Voodoo - The "Long Bird"